6 Mark X. Famous Sayings, Quotes and Quotation. 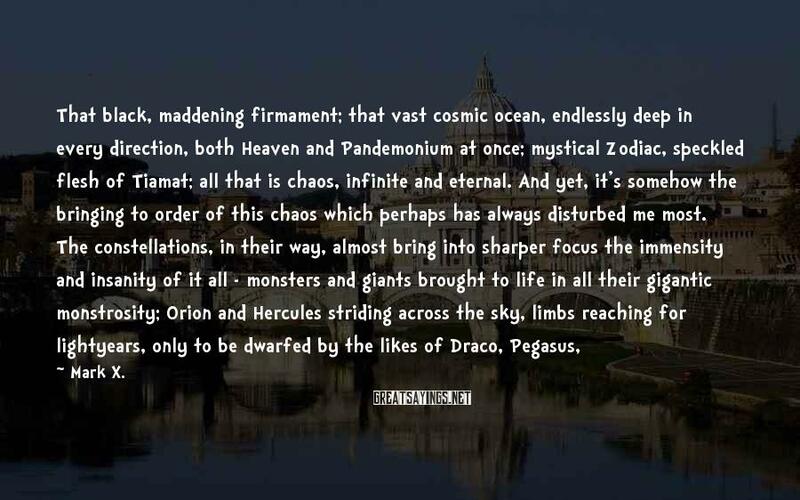 Of course, I'm not quite ready to forsake all the products of society, just yet. I have my clothes, my books, etc ... But more and more I can see myself leaving much of the rest behind - leaving their makers, and the crucible from which they proceed. 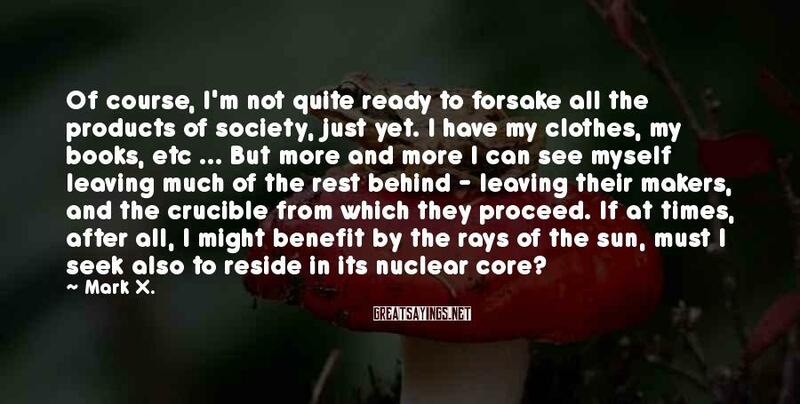 If at times, after all, I might benefit by the rays of the sun, must I seek also to reside in its nuclear core? Ah Buddha, you boastful charlatan. You may have learned nothing after 6 years of suffering, but then what of 7 years? What of 17? What might you have learned from a lifetime of pain? 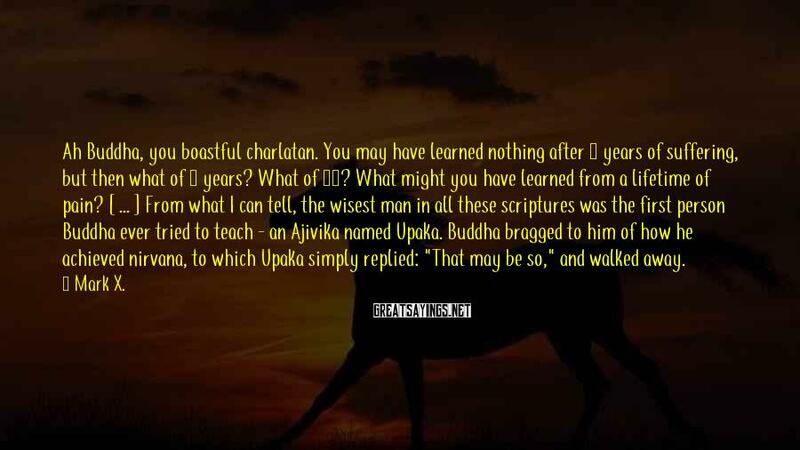 [ ... ] From what I can tell, the wisest man in all these scriptures was the first person Buddha ever tried to teach - an Ajivika named Upaka. Buddha bragged to him of how he achieved nirvana, to which Upaka simply replied: "That may be so," and walked away. 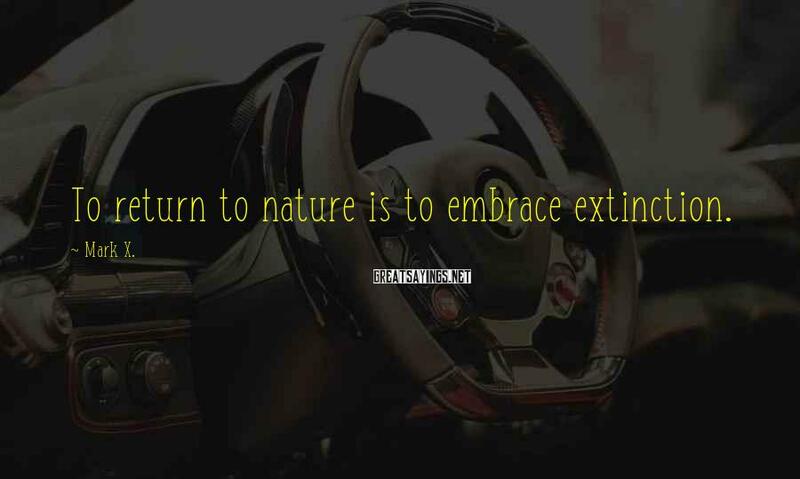 To return to nature is to embrace extinction. We are killing, every one of us, every moment of the day - just by living. And if one realizes this, is this very realization itself not a conscious consent to murder? 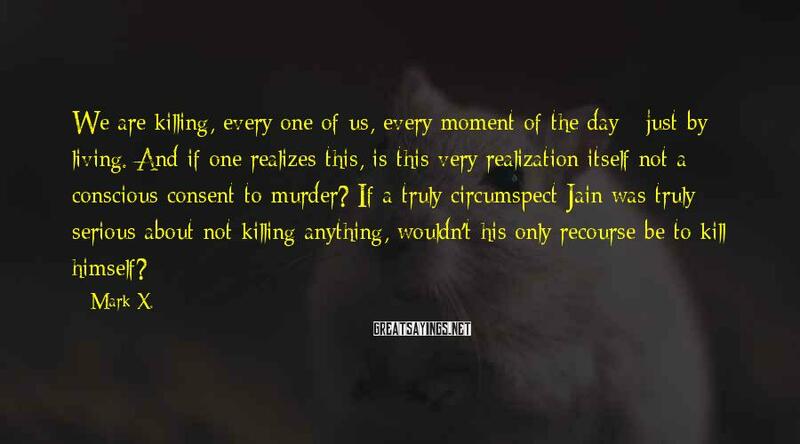 If a truly circumspect Jain was truly serious about not killing anything, wouldn't his only recourse be to kill himself? Only in sleep, where there's nothing but mind, can the mind clearly process all of the day's experiences/memories - without distraction. 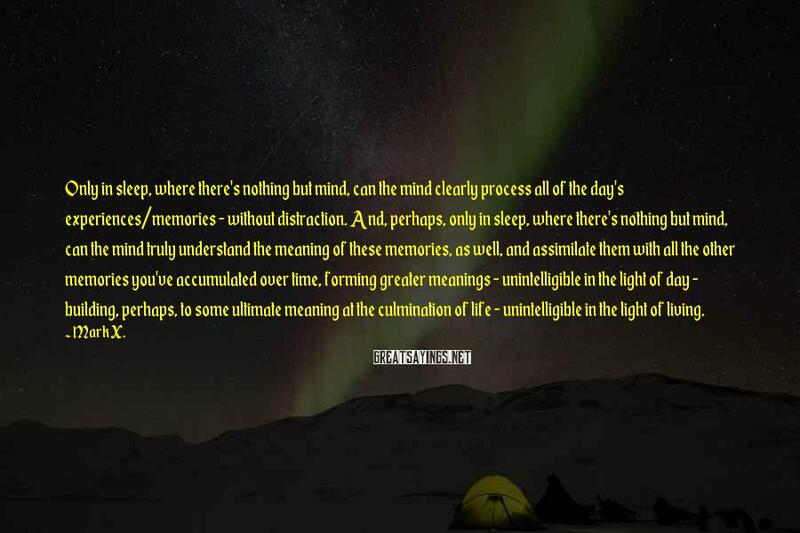 And, perhaps, only in sleep, where there's nothing but mind, can the mind truly understand the meaning of these memories, as well, and assimilate them with all the other memories you've accumulated over time, forming greater meanings - unintelligible in the light of day - building, perhaps, to some ultimate meaning at the culmination of life - unintelligible in the light of living.